A belated happy new year! 2016 is the memorial first year of “Connected Factory.” When IVI was launched in June last year, Industrie 4.0 in Germany and IIC in the US were mentioned everywhere by everybody, while from Japan, no comparable contribution was discussed in the global arena. 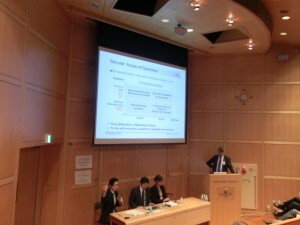 Now, IVI is working on contributions out of Japan. 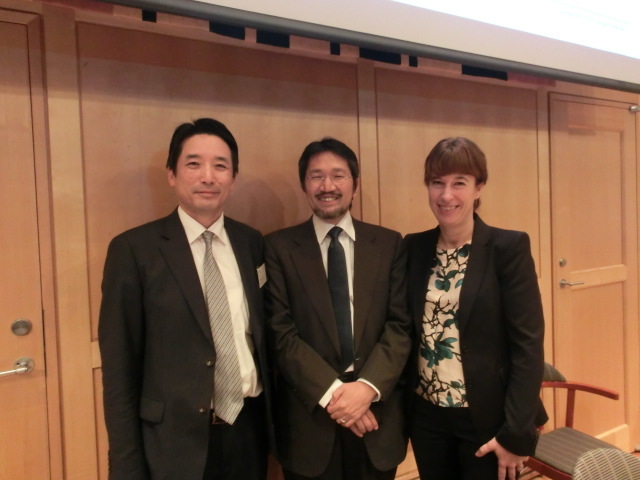 Our approach to connected digital manufacturing pays tribute to the advancements that Japan has already made to date, while at the same time exploring where changes are needed moving forward, in a global picture. The biggest difference from last year is that we have a clearer picture about the way forward – we understand more about what should be changed and what should be kept. A new era is emerging, in which business is only possible in a connected fashion, and the best preparation is a bold move to open systems. But this needs to be done also in a way that competitive advantages can be encapsulated in order to protect and further strengthen unique assets of a company. 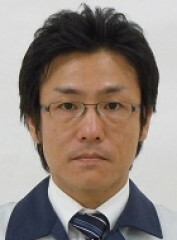 It is also necessary to proceed with “loose standardization” which is inevitable to design the boundaries of the systems. 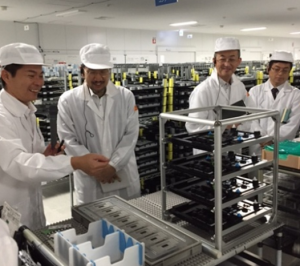 The intelligent shop floor workers (gemba), which has been an important strength in Japanese manufacturing, can grow further with leveraging data collected with IoT and incorporating the power of software. 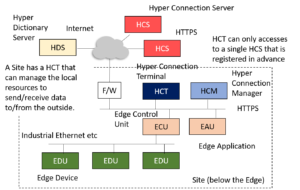 It enables systems to be autonomous and distributed while aiming at the total optimization. Welcome to the world of Connected Manufacturing! 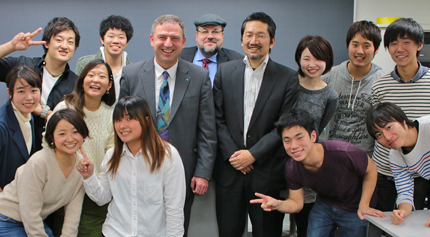 IVI has meanwhile drawn overseas attention, a number of requests for interviews and lectures from a variety of countries have come to IVI recently. 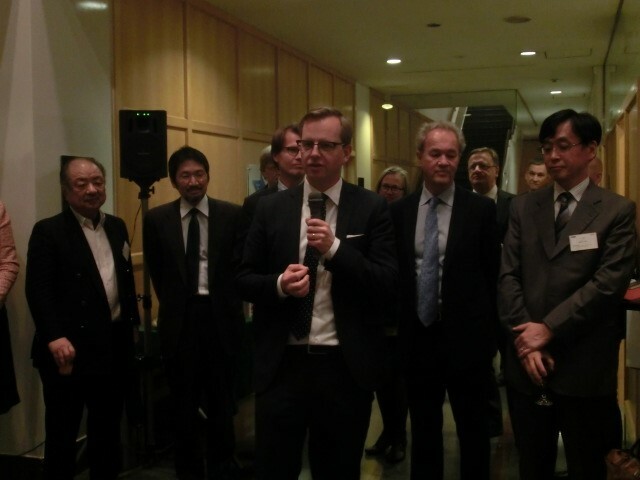 IVI President Yasuyuki Nishioka was invited on stage to a panel discussion in Innovative ICT seminar 2015 held by the Swedish embassy in Japan on Nov 26, in the presence of Mikael Damberg, Swedish Minister for Enterprise and Innovation, and representatives of leading Swedish enterprises. It was also an opportunity for the Swedish participants interested in digital manufacturing to exchange opinions with IVI member companies. At the panel discussion, Prof Nishioka, President of IVI, Mr Kazuhiro Hosoi of Fujitsu Research Institute , and Ms Bodil Rosvall Jönsson of Skåne were on stage. Mr. Nishioka talked about the IVI setup and the use of IoT for manufacturing. Panel discussion Mr Hosoi Kazuhiro (Fujitsu Research Institute), Prof Nishioka (IVI), Ms. Bodil Rosvall Jönsson (Skåne) The reception after the seminar began with greetings by Mikael Damberg, Swedish Minister for Enterprise and Innovation, and Magnus Robach, Swedish ambassador to Japan. Delicious Swedish food and drinks were also served. 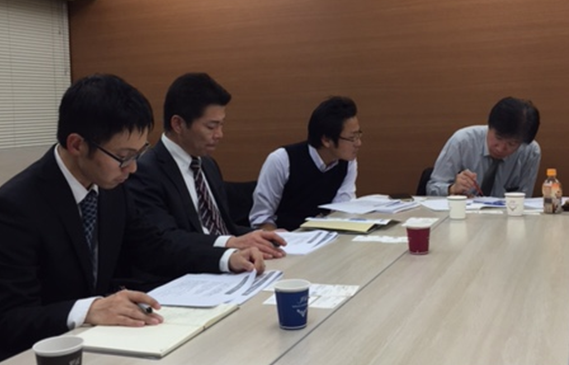 As Sweden has also set an emphasis on IoT manufacturing, IVI and its activities received great interest. 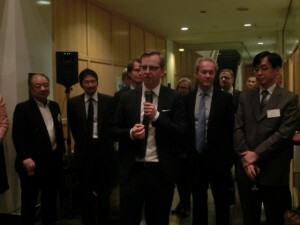 Swedish Minister Mikael Damberg speaking at the reception, 2nd from left: IVI President Yasuyuki Nishioka At the reception, Volvo and other Swedish enterprises also exchanged views with people of IVI member companies participating in the seminar.